Rockhampton Cricket Club (RCC) are a club with a long history (founded 1872) and yet it is their modern progressive attitude and commitment to continually developing the club that is being rewarded. 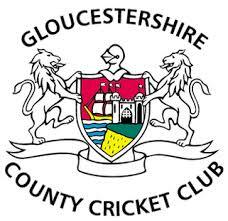 The club have focused on developing the ground and facilities; and this has been rewarded by Gloucestershire County Cricket Club who have both invested in the ground and awarded Rockhampton with 6 matches. The GCCC 2ndXI will play Ireland on 17thApril and Scotland A on 6th– 8th August. Additionally, they will host Surrey, Glamorgan, Lancashire and Warwickshire during this season. All of these matches will be supported by catering and event management for the teams and spectators. Whilst these matches provide a spotlight on the Club, they are only a small part of the club’s development. The long term investment is in the players. 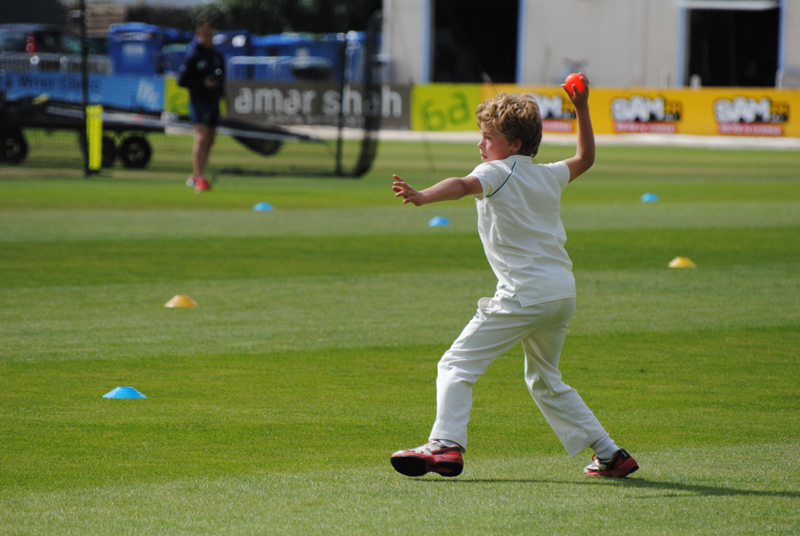 This winter the club invested in a number of coaching academy programmes. The U17 performance squad included all young crickets who showed a special talent and we hope go on to play 1stXI cricket. These players ranged from 17 to 11 years old. The programme covered all aspects of cricket and developed core skills. This programme was designed and delivered by Andy Stovold (ex GCCC coach and player) and supported by RCC’s ECB qualified coaches. The Development squad was based on the U11s (11 – 9 year olds). This programme focused on individual players developing their core skills. 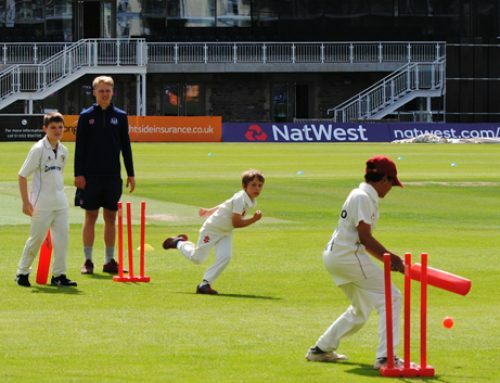 The development programme was run by Rob Cunliffe (ex GCCC and Leicestershire CCC player). 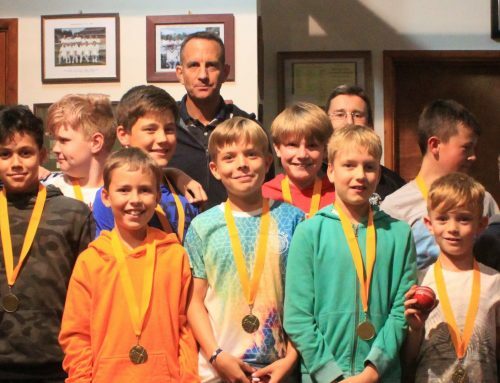 These programmes have provided RCC with a large pool of young Rams who enjoy their cricket and will hopefully deliver the stars of the future. RCC have been able to deliver these winter programmes by using the excellent indoor nets at Thornbury’s Castle School. From April we will be outside again and this is where RCC stands out. RCC have two cricket grounds with pavilions. At the main ground (Boundary Fields Cricket Ground) they have three sets of nets. Standard all weather fixed nets, a mobile cage (for use on the square) and the icing on the cake their new all weather specialist surface nets. Built in 2017, these nets are fully enclosed, have specialist surfaces for pace and spin, and provide a truly outstanding training resource. Their weekly training programme is: Tuesdays, Club practice; Thursdays, 1stXI practice; and Fridays, Juniors. Rockhampton Cricket Club is a great club. Interested? 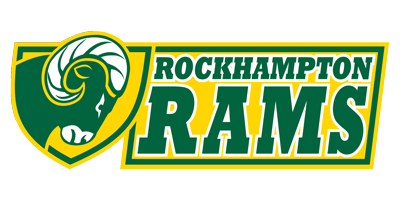 Contact us on rams@rockhamptoncc.com for more information.